What Goes Into A Custom Homebuilding Estimate? Let’s demystify how homebuilders calculate the estimated cost to build a home, and talk about the importance of a fixed-price quote. 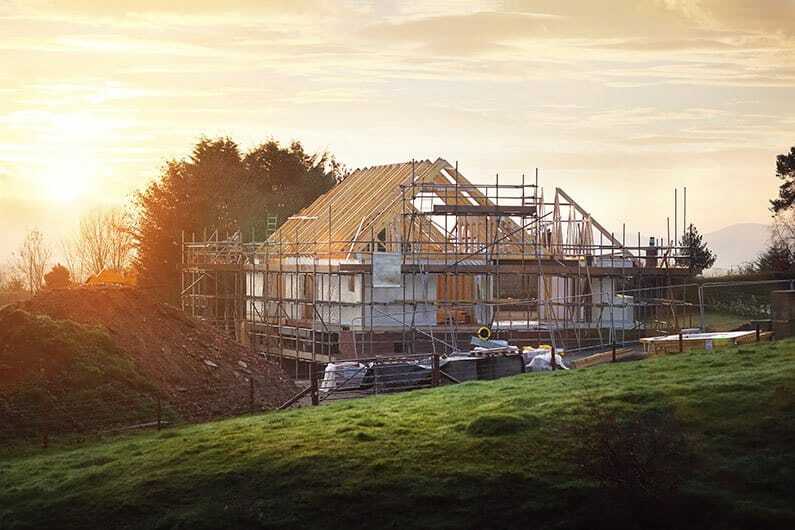 If you’re considering building a new home, you may have heard the rule ‘expect to pay at least 10-20% over the estimated budget’. Well, you won’t have to worry about that if you build with us. That’s because our estimates are the price you can expect to see on the contract. And, unless you decide to make any design changes during the project, that price isn’t going to change. This is the difference between getting a fixed-price quote and a quote with a lower, initial sticker price. It may seem appealing at first, but the lower the initial sticker price, the more you may see costs fluctuate as the project gets going. To prevent any unwanted financial surprises, it’s very important to understand the different pieces that make up your estimate before you sign any documents or contracts. At a high level, we’re going to explore what goes into a new home estimate, and what to keep in mind as you compare estimates from different builders. One of the main costs in your estimate is the floorplan. Floorplans are scale-drawings that illustrate the relationship between rooms and design elements. By providing a visualization of how you’ll move through the space, they make it easier to plan functionality and allow you to work through potential layout challenges before building begins. Other interior costs will be the finishes, hardware, lighting, flooring, closet shelving, etc. — all the things that add the comfort of home to your new build. Mechanical components will also be included within these costs, like your plumbing, electric, and HVAC. Here’s why we’re different: To ensure our custom home quotes are realistic, we give our customers a guided tour through all our finishing options, and have them pre-select all the items they’d like to see in their home. This gives us the most realistic estimate possible and helps us avoid any surprises down the road. Once the floorplan and the initial selections are done, you can get an estimate in as little as two weeks. This portion of the quote is made up of the costs for excavation, doors, windows, siding/brick, termite treatment, roofing, etc. — the foundation, protection, and shell of your new home. There are also ‘exterior extras’ to consider like porches, patios, or septic. When it comes to these additional details, it’s best to clearly communicate everything you’re envisioning without assuming anything. For example, most new construction contracts won’t include decks or high-end patios. So, if you want one, communicate that as early as possible. When building a new home, you’ll need to decide what features are worth the money now and what you’d rather save for future upgrades. Going with the most common or basic features may seem economical at first, but for maximum functionality, durability, and a healthy return on your investment, there are some upgrades you might consider during the build. Most notably, your kitchen and bathrooms are where you’ll spend a lot of time and are the spaces homebuyers focus on (if you decide to sell). Quality appliances and cabinets are usually more expensive to replace later and many bathroom renovations will require a sledgehammer. Other examples of home upgrades include heated floors, a fireplace, crown molding, a finished basement, and landscaping. We try to make the “home selection process” simple by giving you allowances, or an agreed upon amount of money set aside for a specific purpose. If you go over your initial allowances, your house will cost more than the contracted price, requiring you to pay the difference. If you don’t use all of your allowances, you’ll receive builder-issued credits to either subtract from the overall cost or to use for something else you already had your eye on. Some examples of areas we offer allowances include plumbing, flooring, and light fixtures — the things that can vary greatly depending on your needs and desired style. For instance, you might have a flooring allowance of $2,000 for high-end “LVT” flooring. As long as you don’t exceed that allowance when picking your floors, you stay on budget. No matter what, make sure the estimates you receive are detailed and specific — avoid ambiguities in contracts. We quote accurately for the fixtures and finishes you actually want and fit the style of home you’re building, not the builder-grade finishes, or the basic materials, that might not be the highest quality. When you get an estimate from us, it’s a firm price. And that number is transferred to the contact, so we can guarantee there won’t be any surprises. Out-of-Pocket Costs During Home Construction How We Build Energy Efficient Homes New Home Construction Loans, Explained Our 3 Most Popular Types of Home Flooring Slab vs. Crawlspace: Get the Most for Your Money Should You Build Your Home Up, Down, or Out?